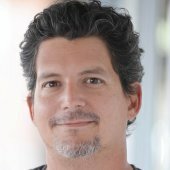 A key part of marketing is getting into the heads of customers. Ideally, a marketer wants their message to be ingrained in the customer, that a particular product comes to mind as the solution to their problem or situation. People with runny noses reach for a Kleenex instead of a tissue, hurt kids look for Band-aids instead of adhesive medical strips, and no one runs into the convenience store for a can of canned tire sealant instead just saying a can of Fix-a-Flat. A recent study suggests that Pinterest is a good platform for influencing the future buying behavior of consumers. 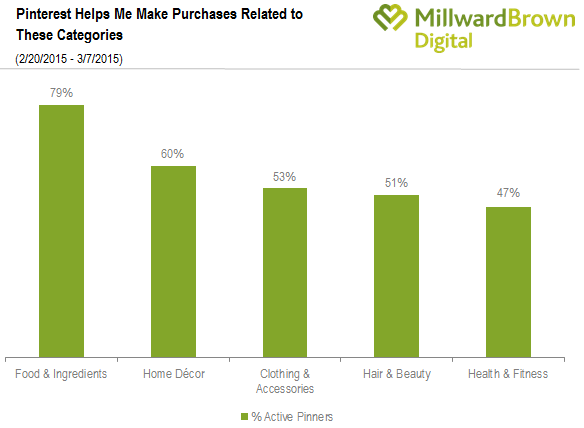 Pinterest recently commissioned a study from Millward Brown Digital to survey Pinterest users about their activities on the platform and how it affects their buying habits. The survey, which consisted of just 45 questions, was conducted between February and March 2015 and used 2001 Pinterest users. “The focus of the study was to gain a much deeper understanding of what it is our pinners are doing and how they’re using the platform,” said Eva Smith, Pinterest’s head of marketing communications and insights. According to the study, more than half (52%) active Pinterest users feel that Pinterest plays a key role in their purchase decisions. Similarly, based on the results of the survey, just under half said Pinterest recommends relevant products to purchase. These two statistics alone show the value of continually posting product images to Pinterest. The data suggests that pinned content makes an impact on the Pinterest users who see it. The report also noted that about a third (32%) of Pinterest user go on to purchase an item they saw on the platform in a store. Similarly, three out of 10 (30%) went on to purchase something online as a result of viewing Pinterest content. It wasn’t all good news. About a quarter of the respondents said they didn’t go to the website of the website, but if a third are motivated to buy, that alone makes Pinterest worth the effort. It’s also worth noting that active Pinners were 47 percent more likely to experience a major life event in the next 6 months. This means there are a lot of opportunities for retailers who sell products linked to specific life events. Items for people getting married, products needed by couples expecting their first baby, or home improvement ideas are examples of things that would spread well on Pinterest that would also spur people to action when they have future life events. Of the survey respondents who have actively used Pinterest in the past six months, 96 percent reported they use Pinterest to research and gather information. Similarly, 93 percent reported that they use Pinterest to plan for purchases, and another 87 percent reported Pinterest engagement has helped them decide what to purchase. This data shows there is a tremendous value for business owners who use Pinterest. It may be the new kid on the block, but the platform is proving capable of inspiring consumers to learn more about brands and to buy products (online and off). This inspirational quality of Pinterest, coupled with a paid promotion, makes the platform extremely useful for business owners and marketers. For more news on Pinterest, read this article that explains the Pinterest home feed.